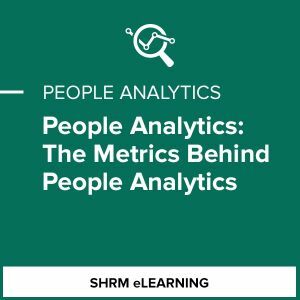 The Metrics Behind People Analytics module provides definitions and formulas to the commonly used metrics in people analytics. The module then describes how combining metrics can better inform your people decisions. It highlights people analytics related to performance, talent acquisition, retention, and employee engagement.